Create professional branding images in minutes with our latest branding mockup .PSD project file. 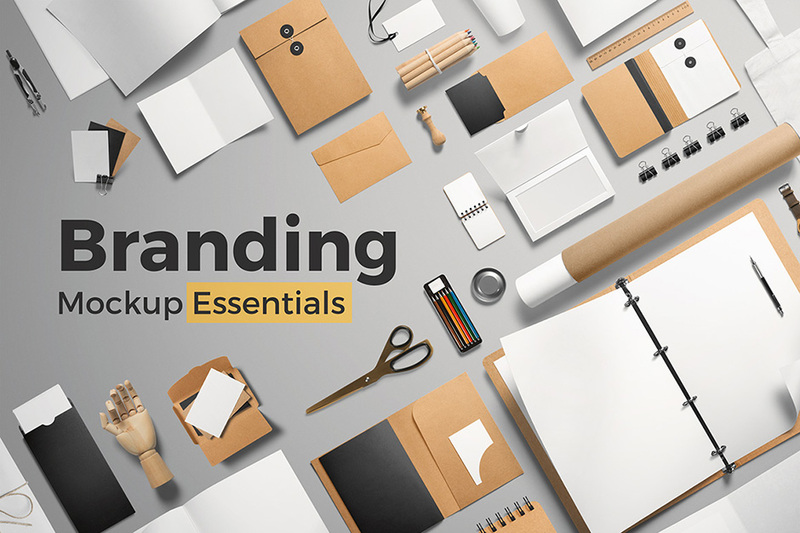 Branding Essentials Mockup boasts completely separated layers for simple management, including background colours, textures, objects & shadows making sure every aspect of customization is elegant and simple to execute. With selective foil stamping, your branded mockups will leap off the page and spring to life. Suited to sharp, crisp white backgrounds, or sleek quality dark textures, this Adobe Suite project file displays perfectly up to 4K resolution for hi-res displays. All elements of the .PSD file are editable via Smart Objects, making it a cinch to edit, saving you thousands of dollars on professional photography. Save Time & Money – 200+ mockups and objects, 41 ready made .PSD scenes and 20 background textures, all you need to create beautiful presentations, instantly. Advanced Files – All mockup objects are changeable, including colors and paper textures. With some items you can create completely different scenes. Selective Foil Stamping – With full color control, add selective foil stamping to your designs, where you chose. Unique Items – Not just another standard stationery set. Filled with unique items to make your branding stand out from the crowd. 4K Ultra-HD Files – All files display up to 4K in Ultra-HD for the most demanding hi-res displays today. • 21 PSD isometric scenes ready to use (new)! 21 .PSD isometric scenes ready to use (new)! File size is approx 18.43GB unzipped, offered as a 13 part download.